Vancouver based Stefan Zlatarits is better known as Stefan Z, a producer who has worked with labels like Resopal Shallware and Circle Music, but who also runs his own label, Rhombus. 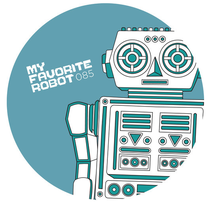 His first EP for the My Favorite label features four tracks that explore deep and sci-fi leaning house and tech with plenty of cinematic values. Opener ‘Love Tonight’ is a go-slow deep house cut laden down with emotion. It’s a sparse arrangement but paints a very vivid picture with its molten bass, Vangelis like synth patterns and churning kick drums. Next up, ‘Planks’ is punchier but is just as deep. Synthesized sounds marble the airwaves and a serious dub undercurrent flows beneath the whole airy concoction. ‘No Words’ again marries dub warmth and propulsion to future facing synth patterns that recall the visions of early techno and electro whilst. Final track, ‘Black Jacket Future’, is wrought with tension via the percolating, predatory bass notes. It explodes into life with all sorts of cosmic rays, alien sounds and celestial melodies. It’s out now, have a listen below. I read this post completely about the difference of latest and preceding technologies, it's amazing article.